Ideally, pets would never make messes on our carpets or rugs. However, we all know that’s not the case and that accidents occasionally happen. Unfortunately, when these accidents involve urine, it’s not an easy clean and your carpets and rugs are at risk. Urine can seep deep below the carpets can ruin the pad and floor underneath is not taken care of promptly and properly. This can be expensive to take care of and replace. 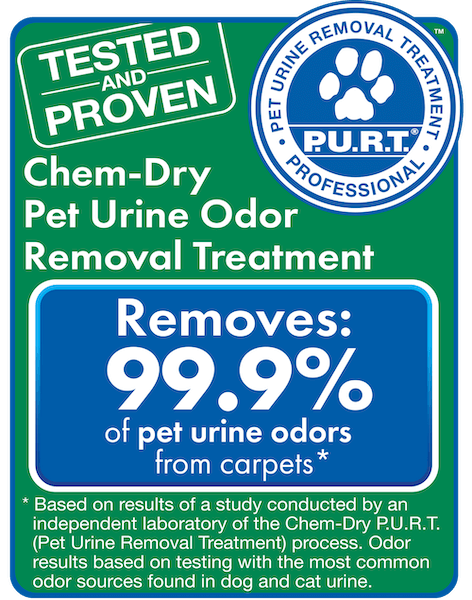 Luckily, thanks to Ace Chem-Dry’s revolutionary P.U.R.T.® (Pet Urine Removal Treatment) service, even carpets or area rugs severely damaged with pet urine can be saved. P.U.R.T.® is designed specifically to eliminate both pet urine odors and stains. If you’ve tried products you bought from the store or any other DIY method and the pet smells and stains are still there, give Ace Chem-Dry a call! 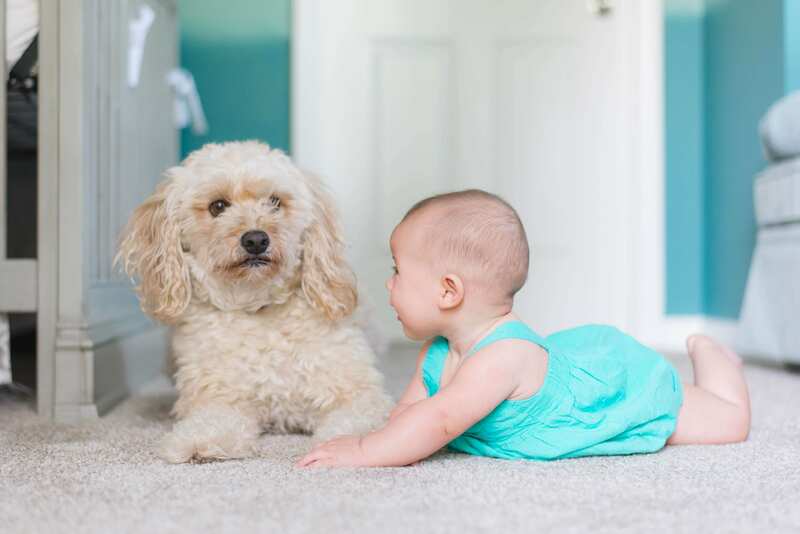 When pets urinate on your carpets, it doesn’t just stay on the tops of the fibers. It seeps lower and lower until it has reached the backing of the carpet and the flooring beneath the carpet. And does your pet like to do its business in the same spot every time? If so, these locations can accumulate serious damage to the carpet & flooring. It’s not just the damage you have to worry about; it’s the smell as well. As the urine dries, the liquid evaporates but the urine crystals become even more concentrated and pungent. Simple cleaning will not remove this odor. Mark did a great job, super professional and got rid of our pet stains 100%. Would recommend highly and will use again! The carpet in my home is over 14 years old and still looks great! Ace Chem-Dry’s pet odor and stain removal service is exceptional! That’s why Chem-Dry developed P.U.R.T.® to handle these hard to clean stains and smells, When P.U.R.T.® contacts the source of the odor, it immediately begins a chemical reaction that destroys the urine odor. The source and severity of the odor are determined, then the carpet or rug will be rinsed and extracted with a hot water rinse to remove the bulk of the urine crystals. *Additional charges may apply for services based on your unique situation and the amount of time and cleaning solution is required to remove the pet odors. Please note that this process may take up to 48-hours to fully dry. You may want to ventilate your home slightly so that the odor can escape.